Nose: Dating back to the 40s, it has earthy aromas of mushroom and undergrowth. A complex nose; you will notice hints of orange and almond, and a fine rancio. Palate: Full bodied, enhanced with notes of coffee and licorice. The finale is silky, and you will finish with a final note of vanilla, after experiencing sweet notes of cocoa and fruit. For a spirit that embodies everything there is that is good about a well-aged, quality Cognac, look no further than the Vallein Tercinier Trés Vieux Fins Bois. Dating back to the 1940s, it exemplifies the sheer treasures that are contained in the cellar of this family estate. Derived from a single barrel, this Hors d’Age Cognac has been specially selected by the Cellar Master. The largest of the growth areas is the origin of this fine Tres Vieux Cognac. The soil contains smaller areas of chalk that are less porous than other crus, but produces eaux-de-vie that are full-bodied, supple and fruity. A single barrel offering of this caliber is bound to have you in raptures. It is bottled with order, and aged in the finest French oak casks. It goes on to be slowly reduced, over an ambient temperature and lightly filtered. 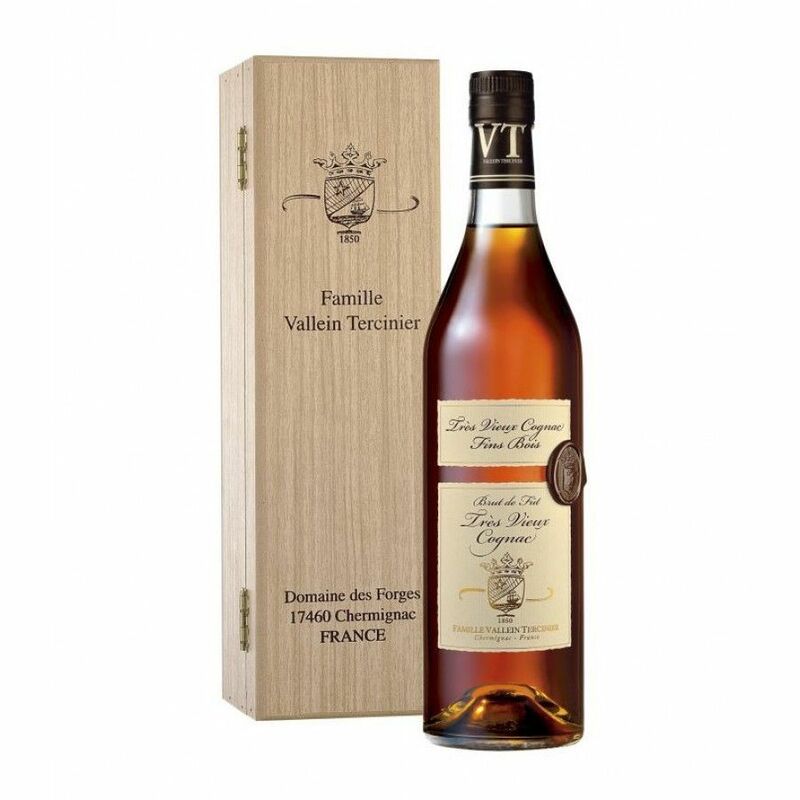 The Vallein Tercinier Tres Vieux Fins Bois is presented in a regular bottle, with a cream traditional labeling. The burgundy wax seal, typical of Cognacs from this house is on the side of the bottle. It also arrives in a wooden box, which will look wonderful displayed in your drinks cabinet. The address of the estate is also etched on to the box, giving it a localized feel; it is truly a small scale, artisanal house.